If you’re planning to hold any kind of religious event in Ireland, don’t hand out free soup! This is just one of the many cultural customs that CMF recruit Alicia Bucci has learned as she prepares to help launch a new Globalscope campus ministry in Cork, Ireland. Alicia and her team learned about this while they were in Cork recently and visited the pastor at a local church. “Only about one percent of the population attends church in Ireland, so the local Cork church is small, but mighty,” said Alicia. “We spent time listening and learning from them about serious things, too, such as visa requirements. 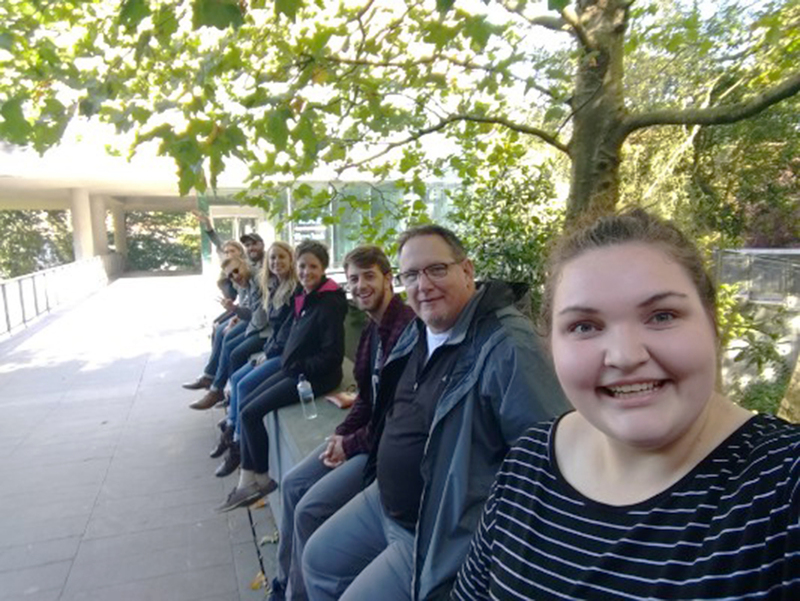 “We also walked the campus to learn more about student life from students themselves, prayed over the city and grew closer as a team,” she added. 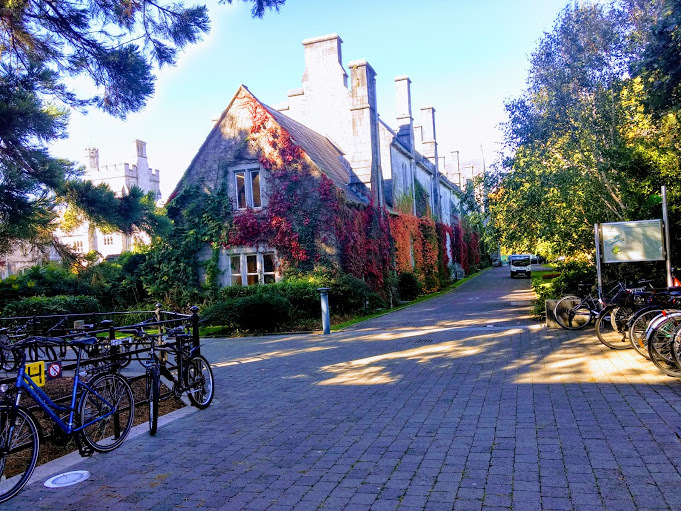 This is the oldest building on the campus of University College Cork, where our new Globalscope team will launch a campus ministry. The team is made up of four people from three different states, so the distance can be a challenge to team bonding, but the trip helped them grow closer together. “Overall, the trip went better than anyone could have ever expected,” said Alicia. “It was successful on a professional and personal level. We talked with the church, a local missionary, and students, and made some friends our age. 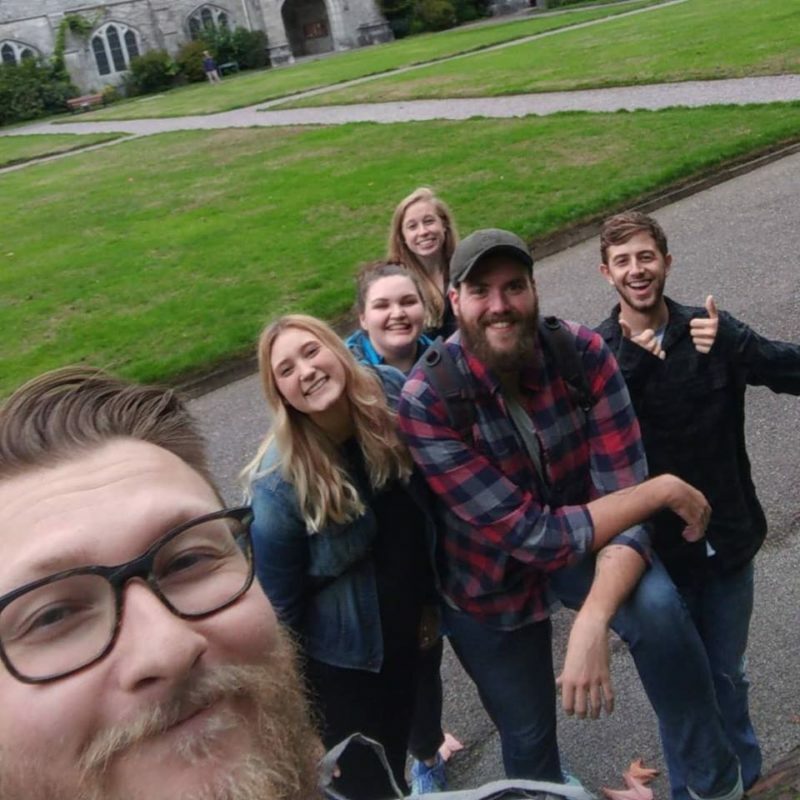 Members of the new Globalscope Ireland team and friends visited Cork recently to begin laying groundwork for their ministry.